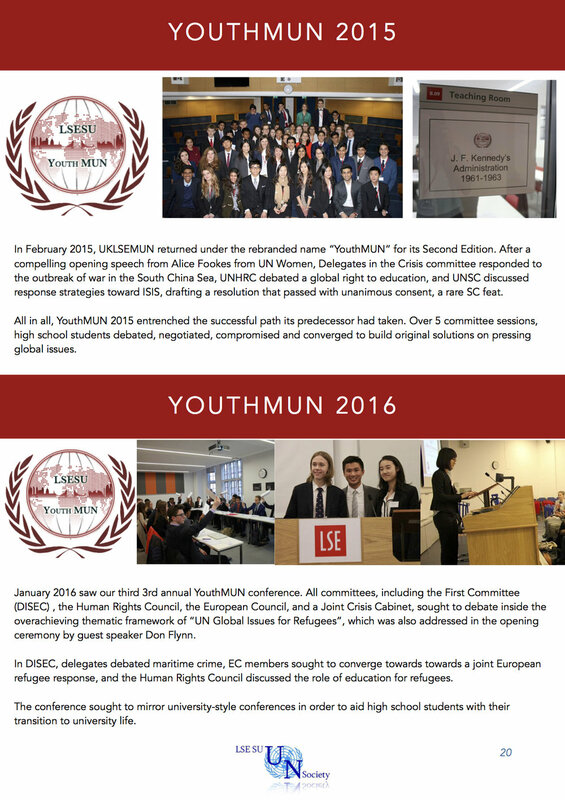 In August 2017, Stefan Bogensberger compiled a report on the history of the LSESU United Nations Society. To access the report, click here. This report aims to be a working document. If you wish to add any pictures, anecdotes, experiences or links to the report, please contact s.bogensberger@lse.ac.uk. When I was elected President in March 2017, I learnt about UNSOC’s present situation; I proposed ideas for its future; but I knew little about its past. The entire current committee is incredibly fortunate to inherit a society with such a stable foundation and rich past. 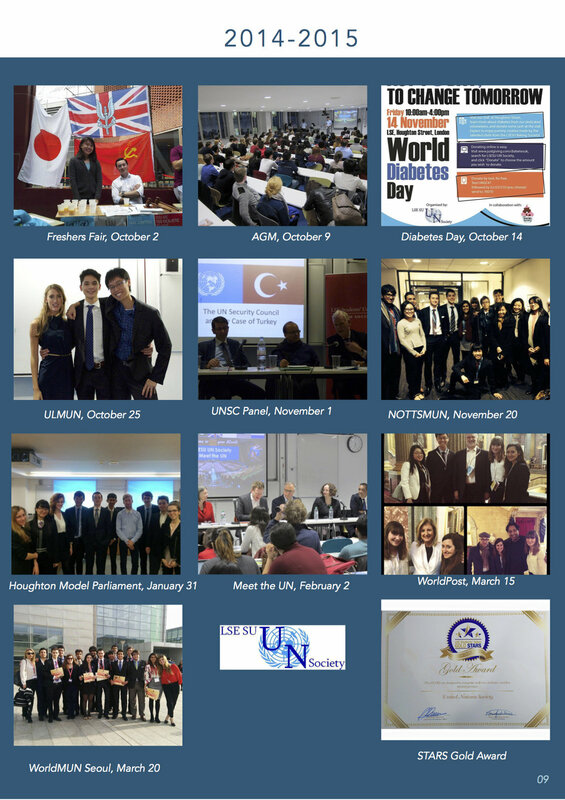 As such, is my utmost pleasure to present you “A Retrospective”, a document dedicated to summarise the recent history of the LSE SU United Nations Society. Over time, the faces society members may have changed, but our values have not. Please join me as we saunter along memory lane to revisit past initiatives and achievements. Our society has never been about individuals and never will be. In a similar context, I do not envisage this document to remain the work of a single member. Nor do I regard it as complete. In simple MUN metaphorical jargon, it is a Working Paper that ought to be amended before it can constitute a feasible Draft Resolution. I express optimism and hope that this report will serve as a starting point for future members and alumni to fill in missing sections and continue to add new stories, memories, and experiences. As the new year approaches, I think it is most adequate to introduce the future by looking into the past. The current committee will seek to write its own legacy into this document with fond recognition of those who have preceded us. I hope you enjoy reading the report!